This short video was created by Misha. Enjoy! 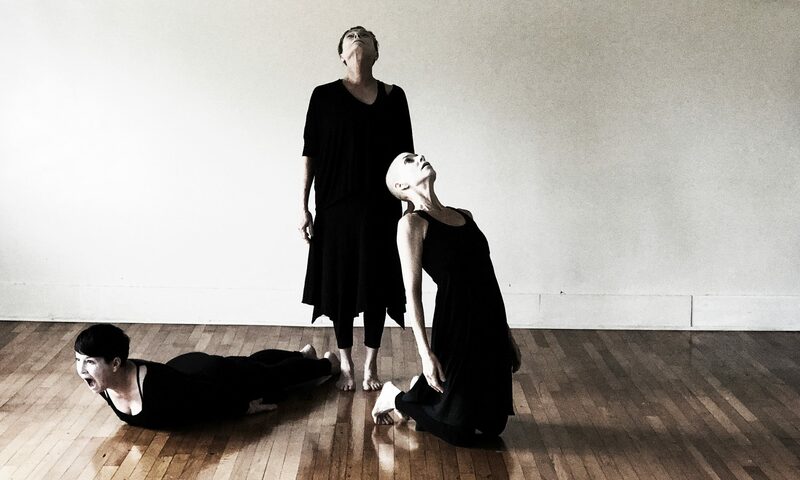 Asheville dance companies Anemone Dance Theater and Legacy Butoh will collaborate to host acclaimed Butoh artist and choreographer Vanessa Skantze for an artist residency in Asheville the week of August 5-12. Jeezard from Julie Gillum on Vimeo. It’s time to get fringey again. 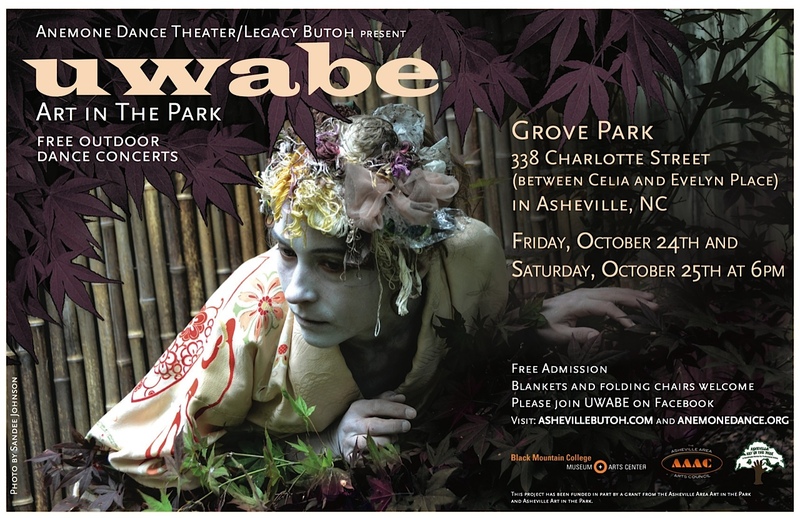 I am also including some performance events outside of the itinerary listed. Hope you can make it out for the festivities. 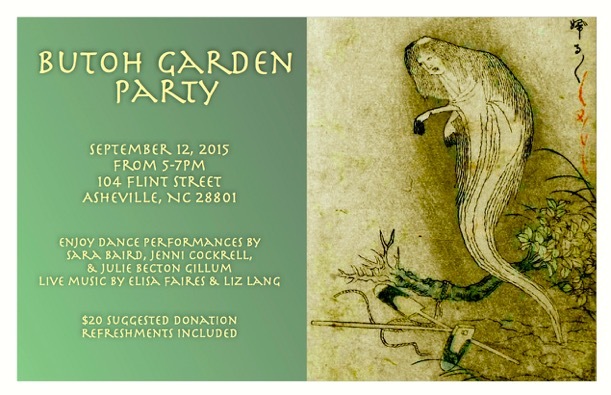 Join us for a glass of wine and live music and dance in the gardens. Suggested donation is $20/pay what you can. 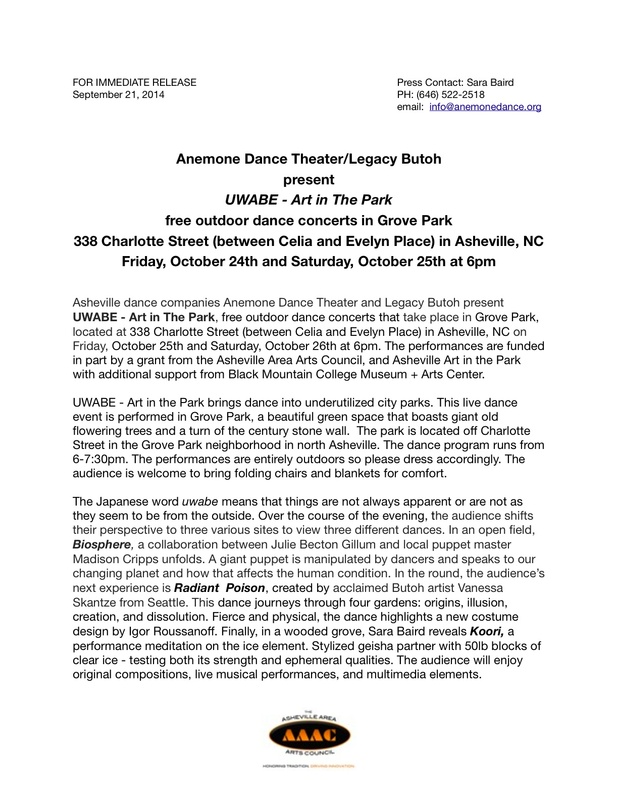 All proceeds benefit Anemone Dance Theater and Legacy Butoh for the production of Yugen at the NC Stage Company’s Catalyst Series June 23-July 2 2011. Please bring your friends. We hope you will join us! 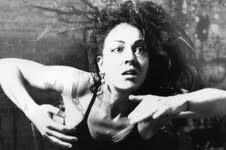 Call Sara Baird/Anemone Dance Theater with any questions, 646.522-2518.